I'll keep saying it. 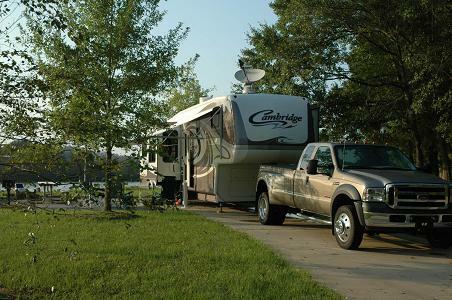 Health insurance can be THE determining factor in whether you are able to live the RV Dream. It must not be taken lightly, it may be the most complicated issue in preparing to full-time, and it must be researched thoroughly! And with the Affordable Care Act going into effect in a big way in 2014, I've had to re-write much of this webpage. For details about this very complicated legislation, see our Affordable Care Act & RVers page. Here, we will explore some options, and we will try to provide resources where you can gather more information. What we will not do is pretend to be insurance experts. However, fortunately, we have an expert in our RV-Dreams Family. Kyle Henson is a full-time RVer and runs the website RVerHealthInsurance.com. As an experienced insurance agent, he helps RVers with health insurance, the ACA, and Medicare options and plans. Predictably, we know more about our own situation, so you may be in luck if your needs are similar to ours. But we will try to provide some information for all situations. Our Subheadings will consist of Our Health Insurance, General Health Insurance Discussion, & Medicare Information. We are not old enough for Medicare (more on Medicare later - I have actually learned a little bit), and once we quit our jobs, we had no more corporate group insurance. We do not have any military or government benefits, either. We could have continued our group insurance for a while, but COBRA is expensive. Before you continue, you may want to check out our COBRA Discussion. Given our knowledge of COBRA, we understood that there was a very good chance that we could get pretty good rates on our own considering our age and good health. This is a section I've had to re-write completely. In fact, the re-write is still in process. The way we researched health insurance back in 2005 now doesn't work. So there is no point going through that process. What I will mention is that back then we wanted the advice of a local insurance professional to help make sure we were thinking correctly. The one additional thing he recommended was a plan with a Health Savings Account (HSA) feature. For more information on HSAs, click on this Health Savings Account Link. Once we did our research on HSAs, we agreed that we should make sure the plan we selected was a high deductible plan with an HSA feature. Ultimately, we selected an Anthem Blue Cross/Blue Shield Blue Access Plan with an HSA option. We selected Blue Access Plan 1 with a $4,800 family deductible, 20% out-of-pocket coinsurance, and a $6,050 out-of-pocket limit ($5 million lifetime maximum) with a starting annual premium of $2,365.80 (monthly premium of $197.15). We again called our insurance guy. I handed him the printout of the plan we wanted, and he helped us with the application (we felt like we owed it to him to go that way). Of course we understood that the premiums quoted could be different based on lab work and underwriting of our health. In anticipation of such lab work for health and life insurance purposes for our new life, we had adopted a healthier lifestyle and lost quite a bit of weight so we would test well and get the best ratings and premiums we could get. For some reason, we never had to undergo any lab work for the health insurance, and temporary insurance cards and a letter showing our $197.15 premium arrived within a couple of weeks. 2006/2007 - Our second year premium starting August 1, 2006 was going to go up $331 to $2,697.00 for the year increasing our monthly payment to $224 - a 14% increase. Instead, we increased our deductible to $10,000 with $0 coinsurance (no out-of-pocket costs on our part once the deductible is met). That change decreased our annual premium to $2,025.36 or $168.78 monthly. We increased our HSA account by the maximum amount allowed to be contributed for deduction purposes for 2006. 2007/2008 - In our third year, our premium increased only 6.5% to $180 per month. We again increased our HSA by the maximum amount allowed that could be deducted on income taxes. That gave us more than enough to cover our $10,000 deductible plus gave us some cushion for minor out-of-pocket medical-related expenses. 2008/2009 - For our fourth year, our premium increased to $197 per month. That was still only a 9.4% increase. With enough in our HSA and no need for an income tax deduction, we did not add any additional funds to the HSA in 2008/2009. 2009/2010 - For our fifth year, our premium was scheduled to increase 38% to $270 per month. Rather than accept that, I did some research and found a new policy with the same company that had the same benefits except that it included preventative health exams (i.e. annual exams/physicals are covered and not subject to the deductible). We changed plans to the Anthem Lumenos HSA plan ($10,000 deductible and $0 co-insurance) and got a new premium of $155 per month. By not just accepting the premium increase, we got a new, better plan, for less money. 2010/2011 - For our sixth year, our premium only increased $12 to $167 a month, a 7.7% increase. We took advantage of our "free" annual physicals. No plan changes were made and no additions were made to our HSA. 2011/2012 - For our seventh year, our premium increased $13 to $180 per month, a 7.8% increase. Although no increase is good, it was less than we expected. Again, we took advantage of our "free" annual physicals. And, again, no plan changes were made and no contributions were made to our HSA. 2012/2013 - For our eighth year, our premium increased $23 to $203 per month, a 13% increase. No plan changes were made and no contributions were made to our HSA. 2013/2014 - For our ninth year, our premium increased $60 to $263, a whopping 30% increase. But we were turning 50 and I expected a larger increase, just not quite that big. However, in the overall scheme of things and knowing what others are paying for health insurance, I didn't make too big a fuss this time. Also, because we started this plan before March 23, 2010 our plan won't be subject to many of the requirements of the Affordable Care Act. We can wait and see if the new law is better for us, or if we are much better off where we are. If we change too early, we may very well have to change again and have no choice under the new law. Again, I'm having to re-write this whole section. Hopefully, it will be ready soon. Much of the information we had about keeping premiums low no longer applies due to the Affordable Care Act. There are now more options for individuals and the subsidy program may make health insurance a lot more affordable for a lot of people. On the other hand, the Affordable Care Act spreads the healthcare costs of high risk consumers among a much larger pool and younger, healthier people will have to absorb the additional costs. One of the big problems now is researching health insurance in multiple states. The tips and tricks we offered previously have to be re-visited. The following is taken from Medicare: The Official U.S. Government Site. Most people get Part A automatically when they turn age 65. They do not have to pay a monthly payment called a premium for Part A because they or a spouse paid Medicare taxes while they were working for at least 40 quarters (10 years). If you (or your spouse) did not pay Medicare taxes while you worked for 40 quarters and you are age 65 or older, you still may be able to buy Part A. The premium is $441.00 per month in 2013 for those that have to purchase Part A. Doctors' services, outpatient hospital care, and some other medical services that Part A does not cover such as the services of physical and occupational therapists, and some home health care. Part B helps pay for these covered services and supplies when they are "medically necessary." You pay the Medicare Part B premium of $134 per month in 2018 (could be higher - up to $428.60 - if your income is more than $85,000 for a single, $170,000 for a married couple). In some cases this amount may also be higher if you did not choose Part B when you first became eligible at age 65. The cost of Part B may go up 10% for each 12-month period that you could have had Part B but did not sign up for it, except in special cases. You will have to pay this extra 10% for the rest of your life. Note: If you do not enroll in Part B when eligible and decide to enroll later, you will have to pay a late enrollment penalty on top of the base premium. For more information on Medicare and Medicaid (a joint effort between the federal government and states to provide certain eligible persons with health coverage) click on the Centers for Medicare & Medicaid Services website. The Centers for Medicare & Medicaid Services (CMS) is a Federal agency within the U.S. Department of Health and Human Services that administers the Medicare program and facilitates Medicaid operations. Medicare Part C or Medicare Advantage Plans are plans offered by private companies approved by Medicare. Those plans offer the same coverage as Medicare Part A & B, but may cover additional services. Medicare Advantage is basically a Medicare choice. In addition to the basic Medicare Part B premium, the insured pays a monthly premium for additional services included above and beyond basic Medicare coverage. The private companies must follow Medicare rules, but they may have different out-of-pocket costs and follow different rules for obtaining services. Since not all Medicare Advantage Plans operate the same, it is extremely important to review the plans before joining. To get Medicare to help pay for prescription drugs, you can choose to get Medicare Prescription Drug Coverage. To get that coverage you must join a plan run by an insurance company or other private company approved by Medicare. You can either get a separate plan to add to basic Part A and Part B Medicare, OR, if you choose to have Medicare through a Medicare Advantage Plan, you may choose a drug plan through the Medicare Advanatage provider. Though all plans must meet a standard level of coverage for Medicare, the plans have different coverages and costs. Note: Like Medicare Plan B coverage, if you do not enroll in Part D when you become eligible, you will have to pay a late enrollment penalty over and above the required premium. Medigap Policies are policies sold by private insurance companies to cover health care costs (i.e. copayments, coinsurance, deductibles, etc.) and supplies not covered by Medicare. However, if you choose to go with Medicare Advantage rather than "Original" Medicare, you can't use a Medigap policy to pay for Medicare Advantage copayments and deductibles. The bottom line regarding health insurance for full-timers is that you must do the work to become educated on plans, coverages, and costs. And this is going to be more difficult and even more important in the next few years.